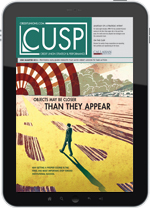 We recap all that was in 2012 and uncover why 2013 is poised to be one of the best years for credit unions yet. A complete listing of responses to Callahan & Associates' 2013 Economic Outlook survey. Stuck in a performance rut? Out of new lending or marketing ideas? Afraid to follow your intuition? Take a visit to Element Federal Credit Union and discover why great cooperative innovators are made, not born. Element Federal Credit Union demonstrates how small cooperatives can successfully lead their members, their communities, and the cooperative system forward. Element FCU is out to reshape and redefine the cooperative experience. Use its best practices to help your own institution dream big and uncover opportunities for improvement. A focus on key institutional strengths and the unique priorities of its membership yields unprecedented opportunity for a small West Virginia cooperative. The CEO of Element FCU talks about the success of the cooperative she was instrumental in creating. Hear firsthand from the credit union's leaders. Watch the Anatomy Of An Innovator video series. 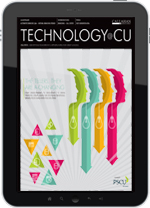 Download the Anatomy Of Element Federal Credit Union PDF. As the economy recovers, any extra effort credit unions make to reward their members will help those relationships better stand the test of time. Distributing patronage dividends is a great way to educate members about the benefits of credit unions and encourage them to use more services. After evaluating the quality of service, Educators Credit Union ramped up the experiences of its newest members. Each tier of the credit union movement — from leagues to CUSOs to corporates — relies on the cooperative model. Aggregation and shared resources are the key to credit union success. A new generation of credit union leaders is stepping up to the plate. Here, five new CEOs from across the nation share the insights and strategies gleaned from their experiences to ensure that the next round of their peers hit the ground running. The answers to the CUSP 4Q 2012 crossword puzzle.